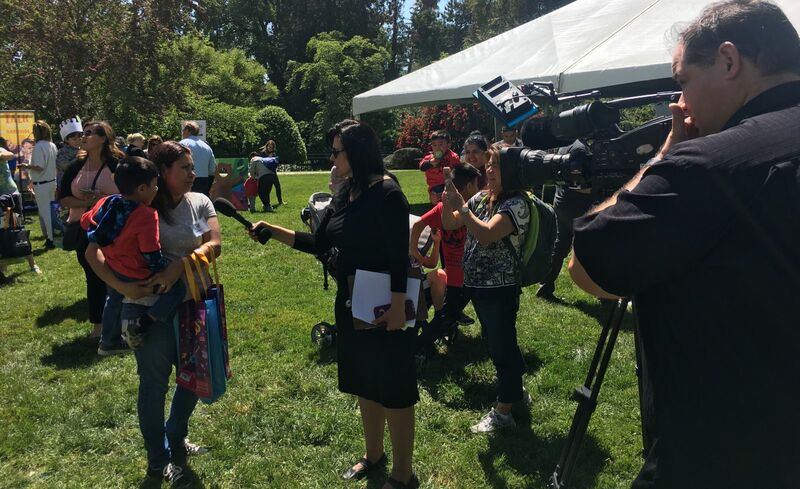 Capitol Lawn Event Marks 20th Anniversary of Voters' Approval of Prop 10 that Created First 5 Network, Honors Several State Legislators as "Champions for Children"
First 5 commissions representing counties throughout California gathered at the State Capitol on May 2, 2018 to celebrate the 20th anniversary of voters' passage of Proposition 10. The 1998 ballot initiative created the First 5 network with dedicated funding from a tax on tobacco. Representatives of these Commissions spent the morning and afternoon calling upon lawmakers to prioritize early childhood development programs in budget and policy decisions. 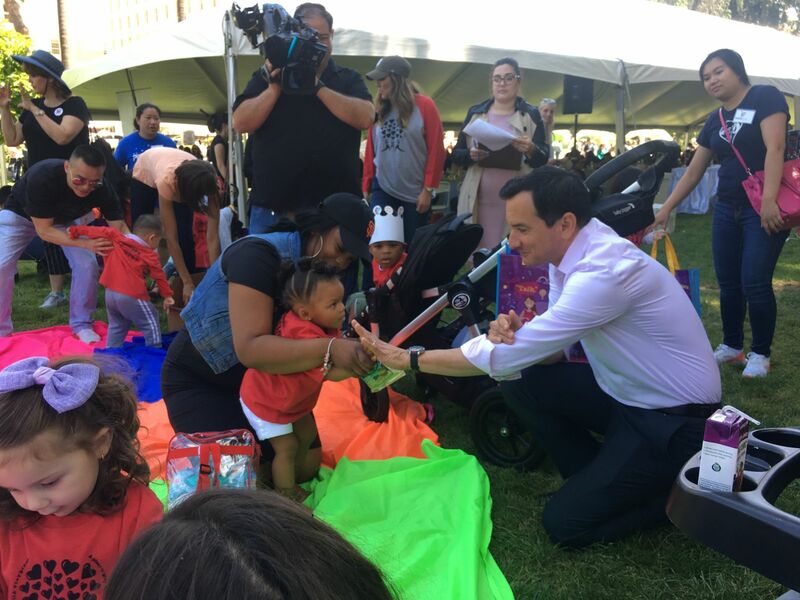 During a break between meetings with lawmakers, Assembly Speaker Anthony Rendon delivered a keynote during a celebration on the Capitol steps that included a reading corner with Sesame Street's Rosita and Potter the Otter, an interactive science experiment, arts and crafts, an exhibit display of First 5 California's achievements and the First 5 Express Van. The event also featured a First 5 California photo collage on the Governor's Wall. Assemblymembers Cecilia Aguiar-Curry (D-Winters), Joaquin Arambula (D-Fresno), and Kevin McCarty (D-Sacramento) received "Champions for Children" Awards for their work advancing early childhood issues. They were recognized for backing efforts this legislative session to increase pay and recruitment of child care providers (Aguiar-Curry, AB 2292); bolstering home visiting for CalWORKs families with small children (Arambula, AB 992); and advancing more rigorous developmental screening practices (McCarty, AB 11). Senator Mike McGuire (D-Healdsburg) was also recognized for serving as a former commissioner of First 5 Sonoma County. "Our kids are our collective future. These legislators' commitment to the wellbeing of California's youngest children is a step in the right direction," said Moira Kenney, Executive Director of First 5 Association, which represents First 5s in the state's 58 counties. "Families are struggling across our state—with poverty, quality child care, and access to early intervention services. By supporting kids in the early years, we can shape the course of their lives—and our society." "A child's wellbeing is a shared responsibility with a shared benefit for our society," said Kim Belshé, Executive Director of First 5 LA. "We need to support children at the earliest possible moments to make the greatest impact. We need leaders and lawmakers to prioritize these voluntary, evidence-based home visiting programs. They are the best way to level the playing field so all kids have the opportunity to succeed."